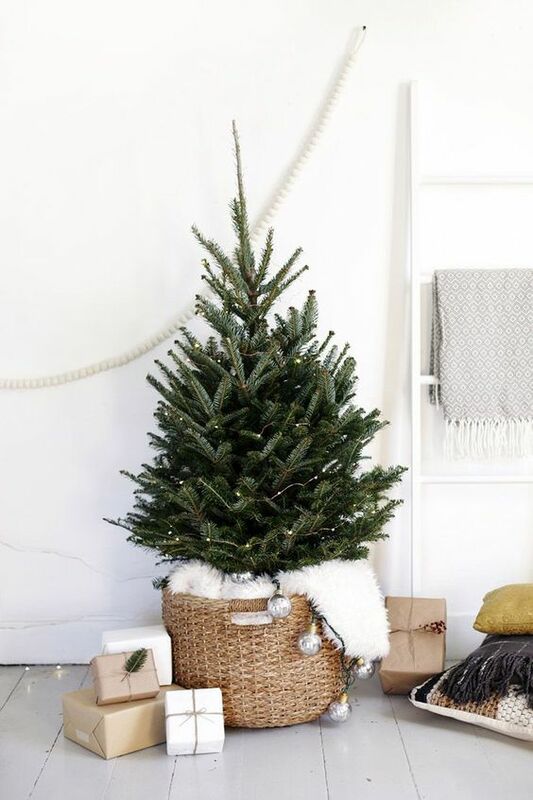 If you don’t have much space for a large Christmas tree, it’s no problem as a small Christmas tree will give you no less joy and fun than a larger one. 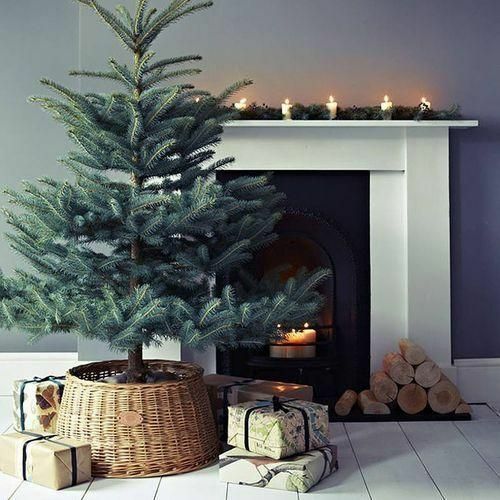 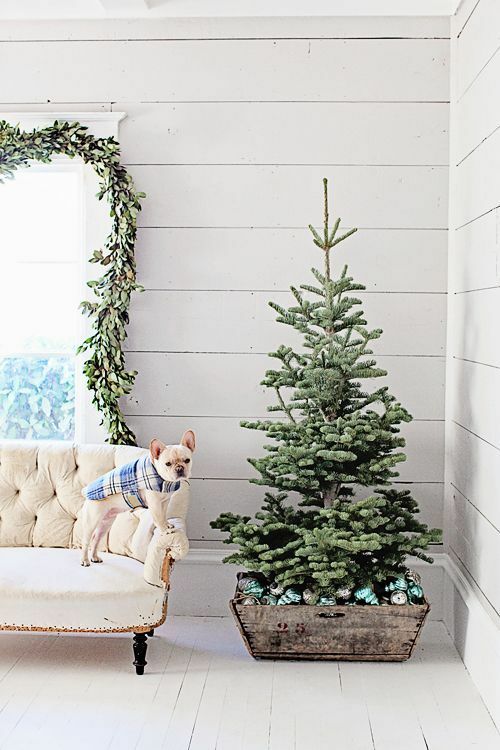 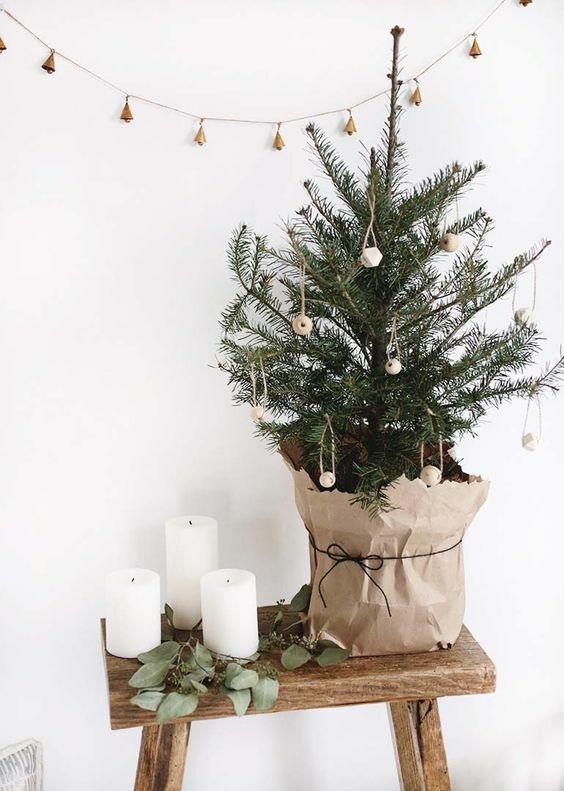 How to decorate a small Christmas tree to avoid too much looks and make your space more stylish with a tree and not on the contrary? 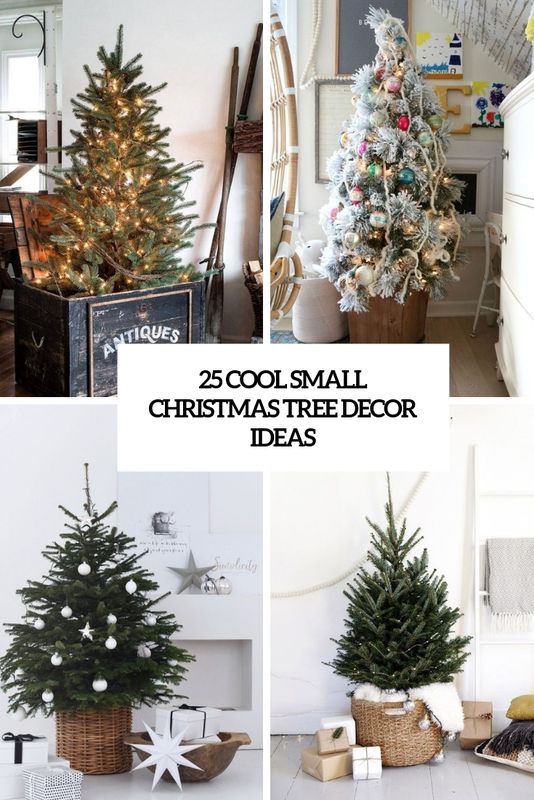 Here are some ideas you may use. 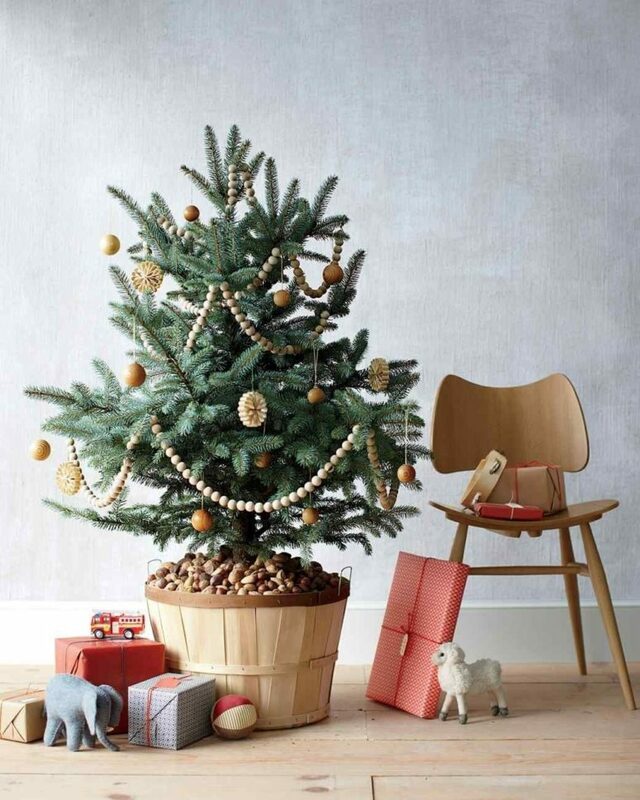 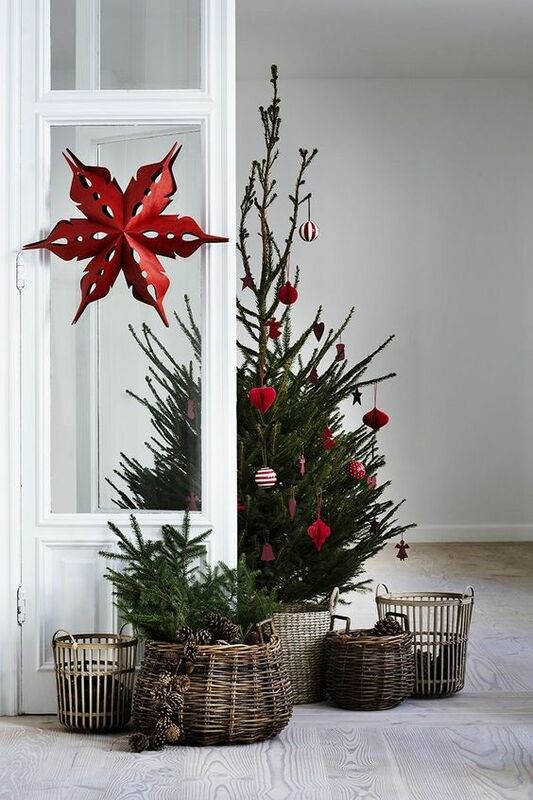 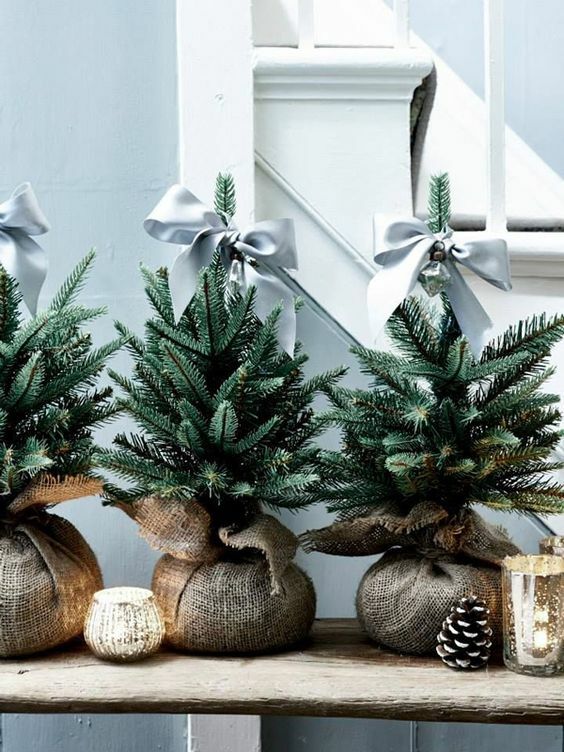 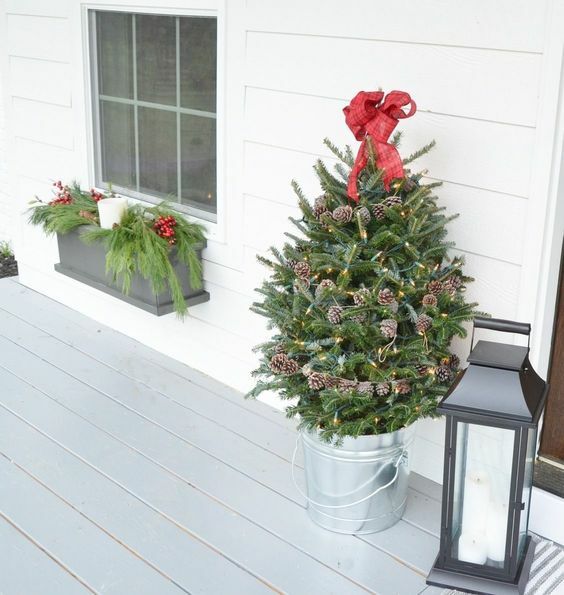 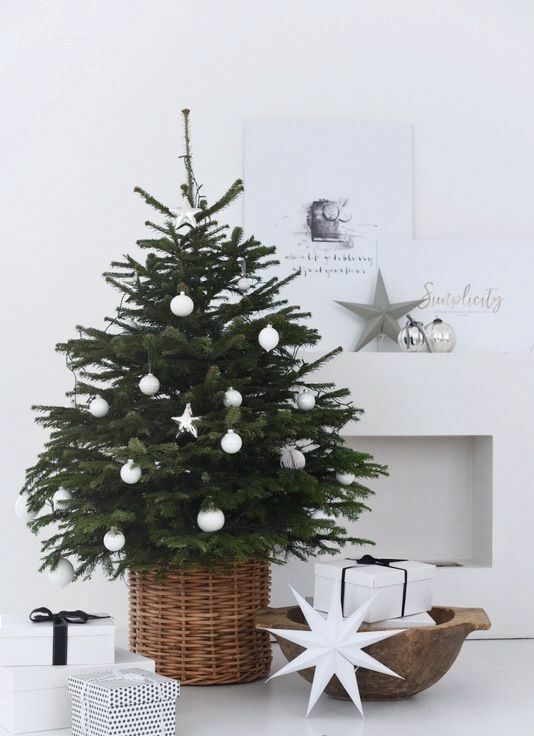 Small trees are popular to rock with literally no decor, you may just place your tree into a cool basket – a usual or a metal wire one. 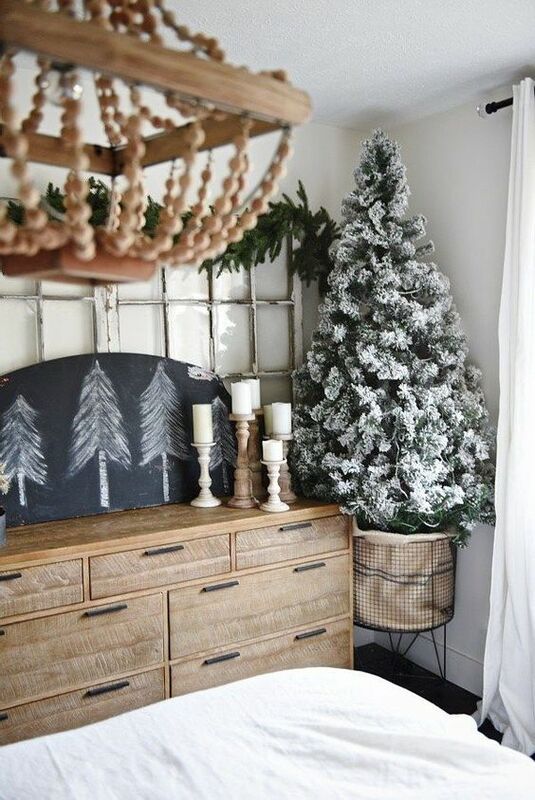 Put faux fur or cotton into your basket to imitate fluffy snow, and voila! 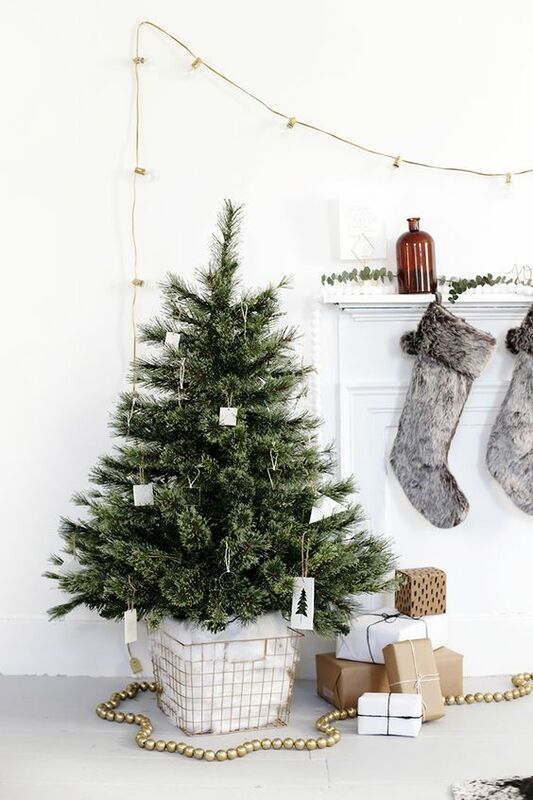 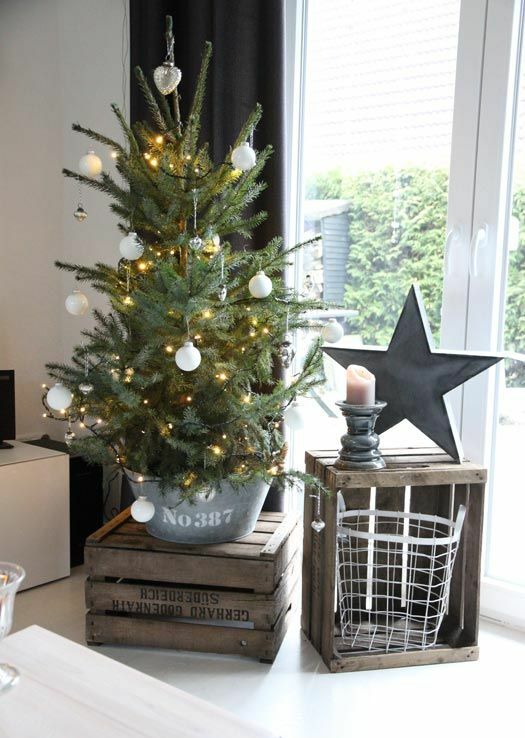 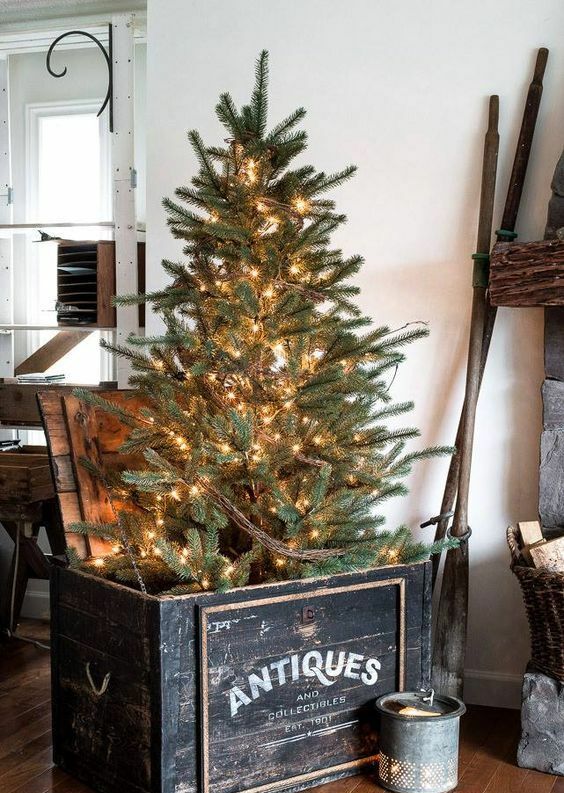 another idea is to put your tree into a vintage crate or a wooden box filled with ornaments – so you will be able to decorate your tree with them whenever you want. 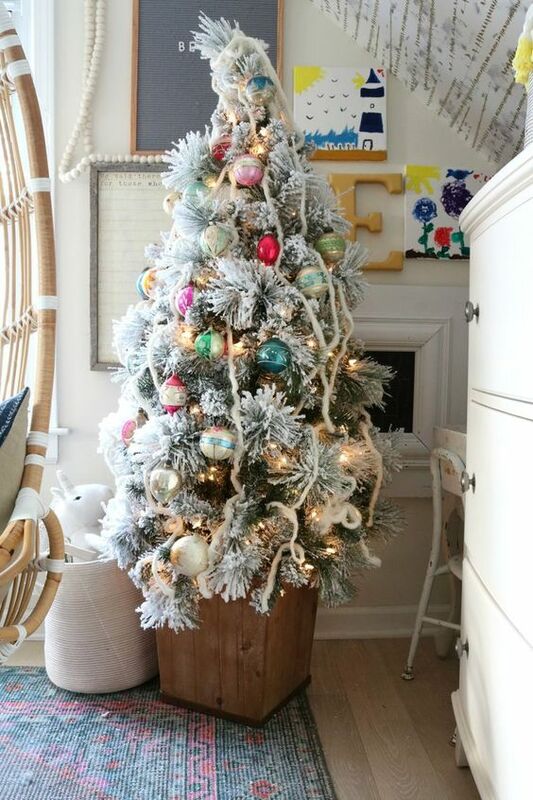 If your tree is flocked, it also doesn’t require any decor, it’s cool itself. 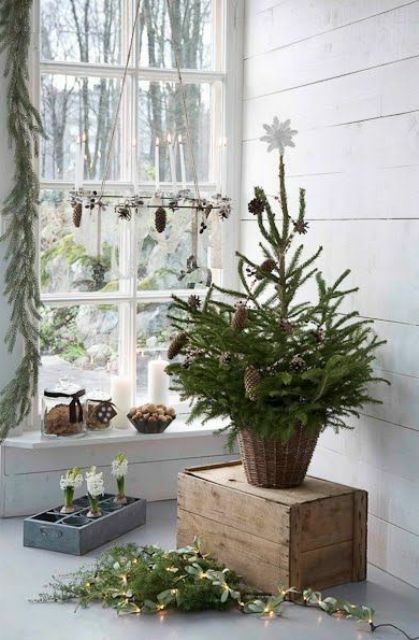 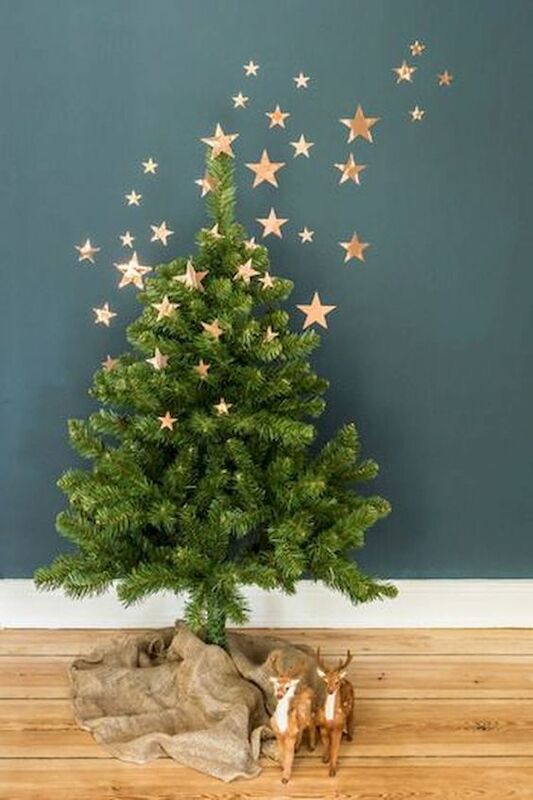 If you think that a naked tree is too bare, add pinecones or lights to make the tree brighter. 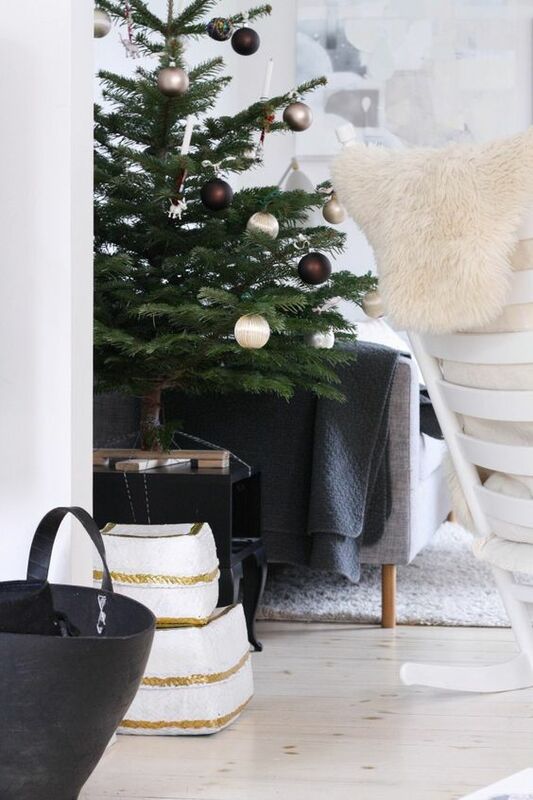 Neutral modern decor is a very popular option not only for small but also for large trees. 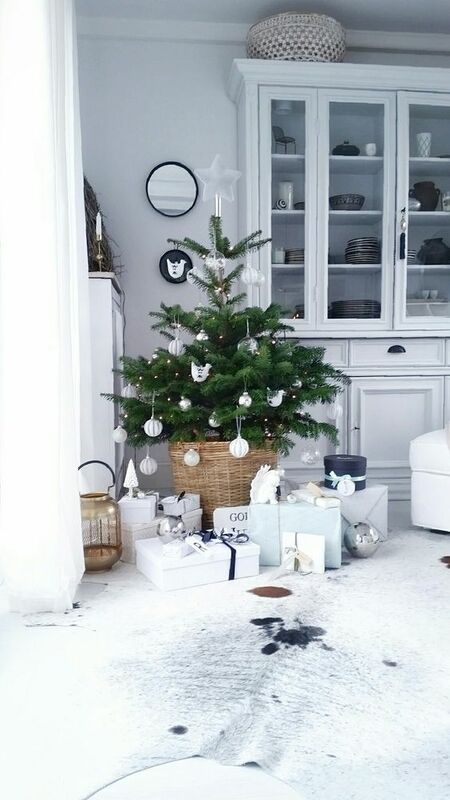 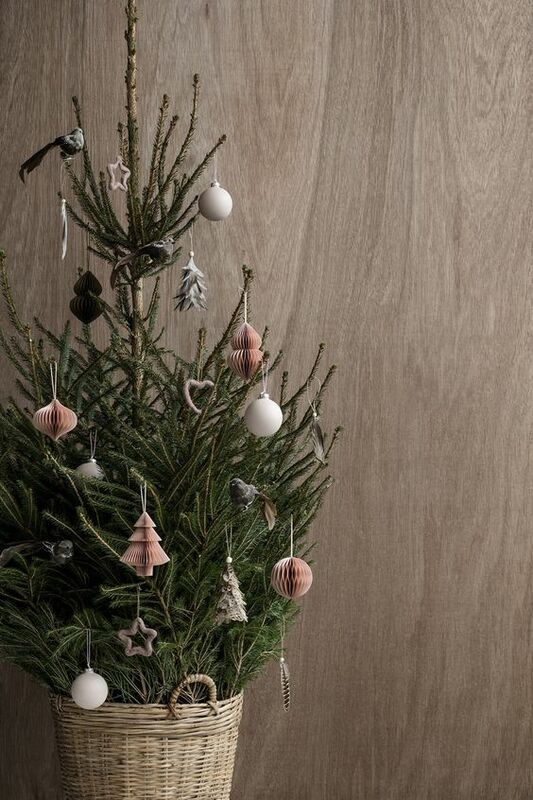 Rock all-white ornaments for a modern or Scandinavian feel, mix off-whites and greys or pearly shades. 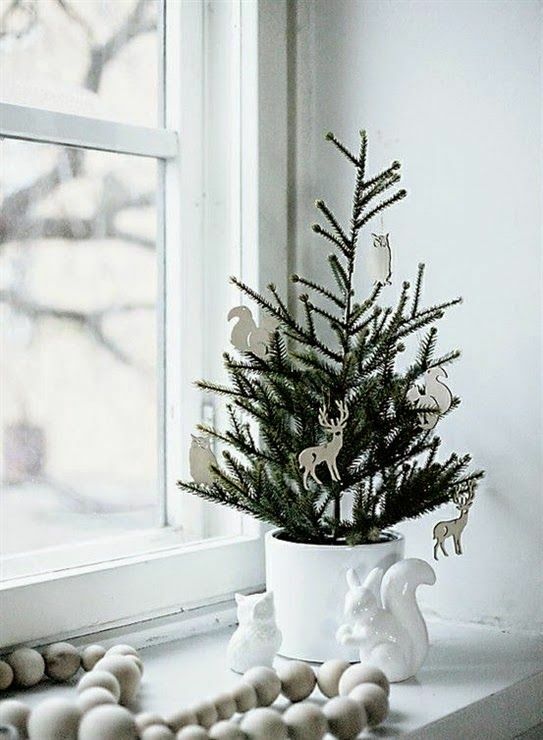 The ornaments can be made of glass, plastic, pompoms, clay, cardboard and much more! 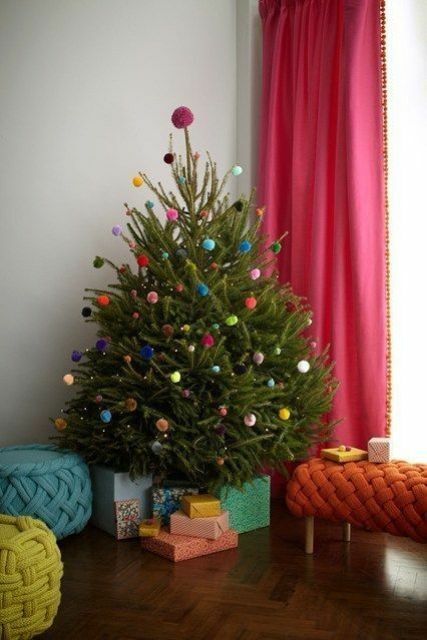 Pompoms can be large or small or both, and the same can be done with other ornaments. 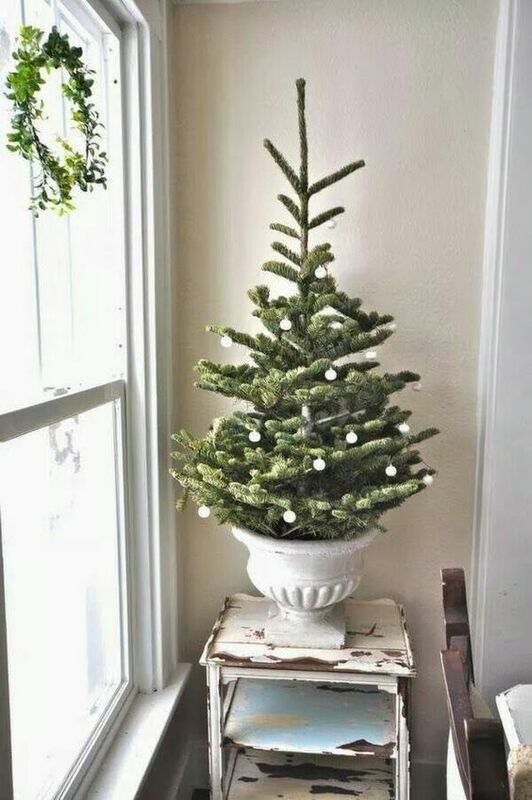 As for containers, try baskets and boxes of various kinds, or even grab a vintage urn and use it to cover the base. 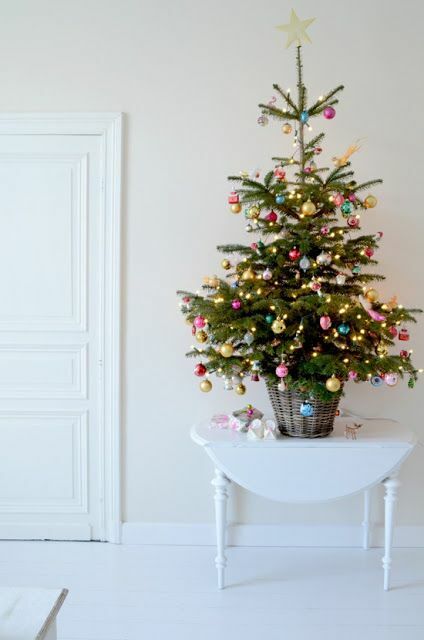 Colors raise the mood and you may use all kinds of bright shades to make your tree stand out. 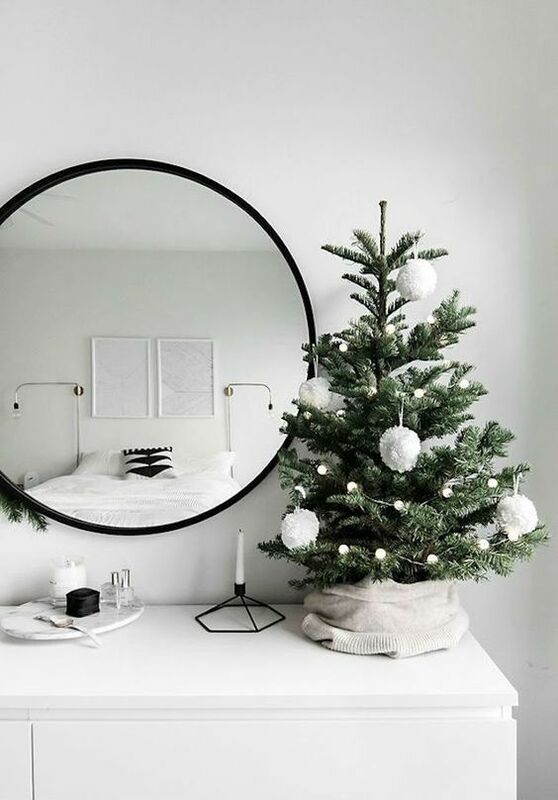 Red and white is a great color scheme for a Scandinavian look, emerald, red and white are a traditional color scheme, pink and orange is a fun glam idea, rock more and more colors that you love. 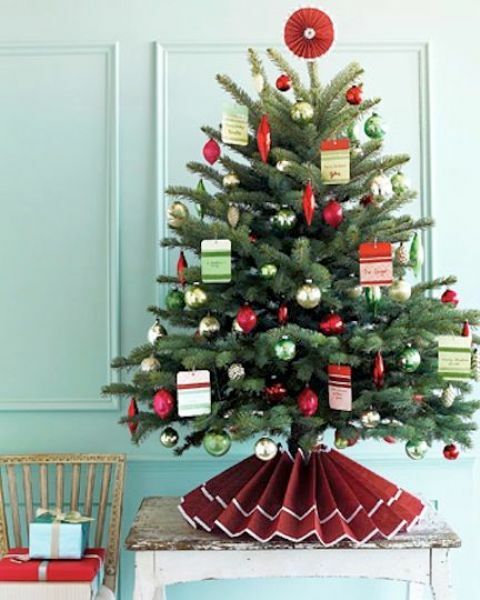 Add garlands and buntings to achieve a super bright and colorful look.